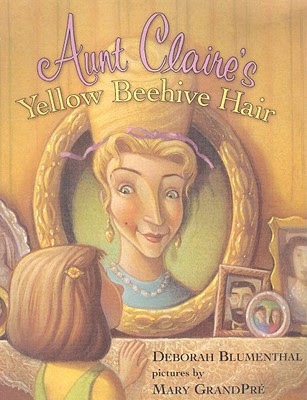 Today I'm pleased to share an interview with author Deborah Blumenthal whose thirteen published books include AUNT CLAIRE'S YELLOW BEEHIVE HAIR (with illustrations by Mary GrandPre), CHARLIE HITS IT BIG, DON'T LET THE PEAS TOUCH, and FAT CAMP, among others. Her latest novel, THE LIFEGUARD, was recently published by Albert Whitman & Company in their new YA line. The Lifeguard is the story of 16-year-old Sirena Shane who is shipped off to the Rhode Island shore to spend the summer with her Aunt Ellie, because her parents, at home in Texas, are going through a difficult divorce. It turns out to be a summer that will transform her life – forever. She moves into a beach house filled with ghosts, falls hard for a hot lifeguard with mysterious healing powers, and meets an 80-year-old Brazilian artist and shaman who leaves her an unusual gift. If you'd like to read an excerpt from the novel, stop by Deborah's website where she has one posted. But before you go, read on for the interview and giveaway. Hi Deborah! Thank you for giving me the opportunity to interview you. Why don't you tell us a little about yourself and your books? These days I’m writing books full time, but I have a pretty checkered background. I started out as a nutritionist, working in hospitals, but I gave that up after I got married and became pregnant with my first child. At that point, I started writing for newspapers and magazines, covering health, fitness, and beauty, including four years of writing beauty and fitness columns for The New York Times Sunday Magazine. My career as a children’s book writer started with a tantrum – my two-year- old’s -- not my own. It inspired my first picture book, THE CHOCOLATE-COVERED-COOKIE TANTRUM. Since then, I’ve written twelve other books, including eight picture books, two romantic novels, and two young adult novels. My latest book, THE LIFEGUARD, is a young adult novel. I love how your work as a nutritionist and fitness writer inspired your first adult novel FAT CHANCE and later, your first young adult novel, FAT CAMP. Do you continue to draw inspiration from these interests? What inspires you now? I’m still very interested in health and wellness, and in THE LIFEGUARD I touched upon the exotic world of shamanic healing, both through the powers of the lifeguard as well as an 80-year-old Brazilian painter who grew up in the Amazon and learned healing from his father. Non traditional healing of dis-ease continues to fascinate me. How did you get into writing picture books and young adult novels? After THE CHOCOLATE-COVERED-COOKIE TANTRUM came out, I was hooked on writing for children, and I kind of stole words, whole phrases, and inspiration from my kids as they grew up. In DON’T LET THE PEAS TOUCH, little Sophie, the picky eater, is holding a piece of roast beef up in front of the window. Her mother is baffled by this and asks her what she’s doing. “Looking for fat,” she answers. My younger daughter, Sophie, actually did that. I thought it was hilarious, so I used it in the book. 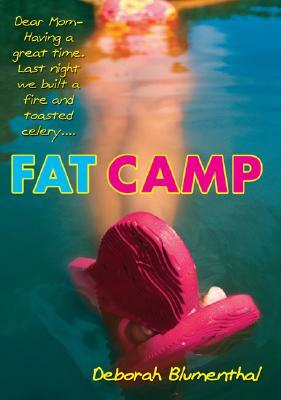 My first young adult novel, FAT CAMP, grew out of an article I wrote for the Sunday New York Times Magazine on weight-loss camps for kids. 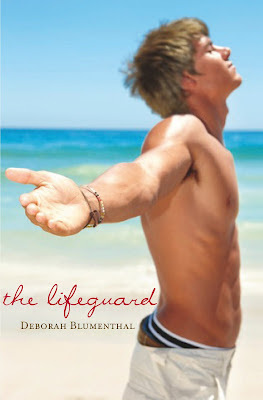 From the cover, THE LIFEGUARD looks like a contemporary YA romance, but it actually has some paranormal elements. Will THE LIFEGUARD appeal to readers of your first YA novel, FAT CAMP, or was this written with a different audience in mind? I hope it will grip all YA readers, but it is quite different from FAT CAMP because of the paranormal elements and the writing style. What challenges do you face writing for all ages? Do you try to keep things balanced, rotating between adult and children's projects, or do you just follow your muse? The biggest challenge for me, whether it's a picture book or an adult novel, is coming up with the right idea for the story. Once I am inspired, I’m very focused on that particular project. I usually finish one book before I start another, but I do have a few picture books in different stages. There’s one in particular that I just can’t figure out how to end satisfactorily. Aspiring authors are often told to focus on one age group or genre when they're trying to break in to publishing. What are your thoughts on this? Have you struggled with branding at all? I think you’re probably better off trying to stick to one area and distinguishing yourself in that area when you’re starting out, but that said, I’ve always been very undisciplined. I just write what I feel like writing and worry about selling it later. 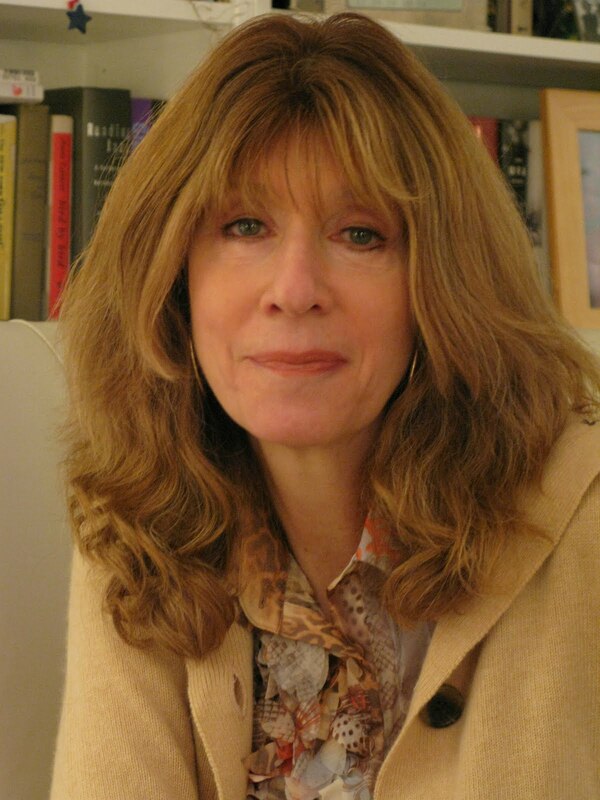 Do you work with a literary agent who handles all the books you write? I’ve always sold my young adult and adult books through literary agents, but I’ve sold the picture books on my own. Is there any particular bit of wisdom you've gained throughout your publishing career that you'd like to impart to those just starting out? Just keep writing and if one project doesn’t work out, start another. Getting published is harder than ever these days and you have to be prepared to get rejected over and over. A fortune cookie I broke open recently said, “Failure is the tuition you pay for success.” I think that’s pretty accurate. Do you have any other published works on the horizon? I have another picture book that’s out with editors, and I’m working on a new YA novel. Finally, where can readers stay up-to-date on you and your books? Deborah is generously giving away one copy of THE LIFEGUARD. International entries are welcome as long as The Book Depository currently ships to your country (list available here). Please be a follower and leave a comment by midnight on March 12th. I'll announce the winner on the 14th. If your e-mail is not easily found, please include it in your comment. If you mention this contest on your blog, Twitter, or Facebook, please let me know in the comments and I’ll give you an extra entry. Thank you for reading the interview and good luck! Great interview Casey and Deborah. I love the paranormal aspects of this book. And Deborah, that's awesome that you use some of your background in nutrition in your stories. Good luck with your writing and thanks for sharing the advice. Thanks for the interview. The book sounds intriguing. Sounds like a fascinating story. Thanks for the chance to win a copy! Sounds like a great book! I love that it has paranormal elements, but the cover makes it look so contemporary! Thanks for doing this give away Deborah! Lifeguarding helped put me through college. I'm adding this to the TBR pile. The book cover is a little more contemporary than anticipated for a novel containing ghosts and and an 80 year old Brazilian artist who's also a shaman but the premise is pretty interesting. I enjoyed the interview and learning how you've taken small life samples and turned them into writing gems. Sounds like a great contemporary read! Looking forward to reading it. Nice! Sounds good and I've been in such a contemporary mood. Yum on the cover. I'd love to win a copy. Awesome interview! Love the failure fortune cookie note. Your books sound awesome! I do like stories with ghosts. THE LIFEGUARD does look interesting. Great interview! I am intrigued by the character of the 80-year-old Brazilian artist and shaman in The Lifeguard. Also, the lifeguard's healing powers spark my interest. I'm tweeting and posting on my Facebook wall. Great interview. I love that fortune cookie wisdom too. And I'd love to win THE LIFEGUARD! I always love your interviews! And the new look on your blog is great. I guess I haven't popped by in a while. The banner makes me happy- lots of fantastic books! that is certainly a catchy cover! Sounds great. And its so interesting that the two books are quite different. Thanks for the interview. Such a nice interview! And the book sounds really good. Also, it's very interesting that you work as a nutritionist. Thank you for the interview! Sounds like an amazing book! Can't wait to read it. Great interview, and such and inspiration! I love paranormal books and I am trying to build this part of my library because I don't have many. I would love to add this book to my collection and share it with my kids. Sign me up. This book is interesting, A great interview this is. I would like to build this part of my library.